Father Steven DeLacy, director of the archdiocesan vocations office, sees the fruit of his labors and God's call of young men to ministry as he lays hands on newly ordained priests in May 2015. “I have called you by name, you are mine,” wrote Isaiah (43:1). But God speaks through others too, not just Old Testament prophets. Last November the archdiocesan vocations office asked ordinary Catholics in the parishes to submit names of young men (and older ones too) who they believe would be worthy candidates for the priesthood. So how did the Called by Name initiative go? The final tally could be as high as 400, Father DeLacy estimated, but of course, simply because someone thought a young man might make a great priest doesn’t necessarily mean that man feels the same way. But it is encouraging. So far, of the names received, the largest group are ages 16-18, in upper high school years; the next largest group is men 19-22, in their college years and a smaller group of older men, according to Father DeLacy. After the names were submitted, the pastors wrote to each potential seminarian to tell them others think they would be a good priest. The vocations office has also sent letters inviting them to consider discerning a vocation to the priesthood, and later, Father DeLacy anticipates seminarians might also contact the potential candidates. Even without Called by Name, new seminary enrollment numbers are already higher than they have been in years. This September 20 young men entered St. Charles Borromeo Seminary, a marked increase from the recent past. Of that number four have since discerned this was not their vocation, which leaves 16. Traditionally there is a drop after that first year in the seminary. “I always advise them to give it at least a year,” Father DeLacy said. Even so this number bodes well for the future, considering most years in the past decade the number of newly ordained could be counted on one hand. At this point Father DeLacy counts 20 men already in the process of discerning, and he expects the number could well hit 30. At this point last year there were fewer than 10 in process, he noted. Father DeLacy considers 30 an important annual target number because it suggests there will be sufficient new priests to replace those who retire. 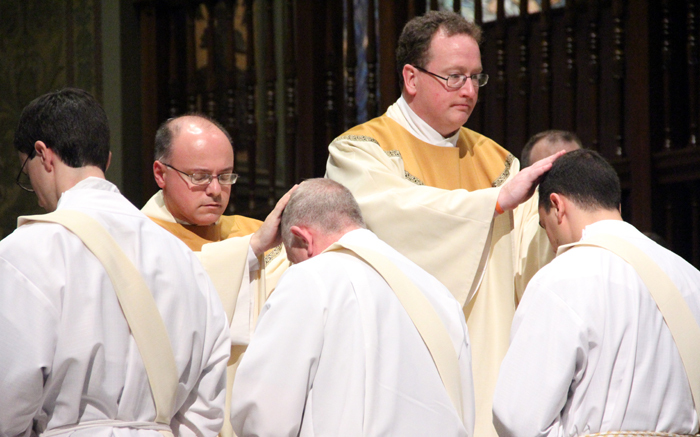 Why the sudden revival in vocations in the Philadelphia Archdiocese? Some people attribute it to the “Francis effect,” which locally is “the popularity of Pope Francis, his visit (to Philadelphia) and the World Meeting of Families,” Father DeLacy said. But he also attributes it the “Archbishop Chaput effect” and his leadership. 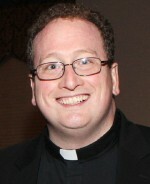 Called by Name is simply the latest tool sponsored by the vocations office, according to Father DeLacy, who is in his third year as director. Just as important is the annual Quo Vadis program, which brings together high school boys and recent graduates for a four-day retreat centered on fun and spirituality, and on a possible religious vocation. Because it is more a way of sowing the seeds, the results are not immediate but it has clearly put the thought of the priesthood into the minds of the boys and young men. Father DeLacy is especially grateful to the Serra Clubs of Philadelphia for their financial support for the Quo Vadis program. As part of this the Serra Clubs are sponsoring a benefit concert featuring singer Tony Melendez and a Mardi Gras Benefit for Vocations at St. Charles Seminary on Jan. 30. For more information on these events see the vocations office website, HeedTheCall.org, or call 484-854-2029.